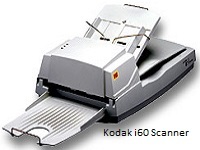 Kodak i60 Desktop Scanner Driver, Firmware, ISIS Driver, TWAIN DataSource Software for Operating Systems. The most current release is v2.07 and is recommended for all Applications that are based on the TWAIN DataSource. , and filed under Scanner Drivers and tagged i60 software, kodak i60 download, kodak i60 driver, kodak i60 scanner.